For starters, what bands were you guys a part of prior to Insolvency? How long has the band been around? 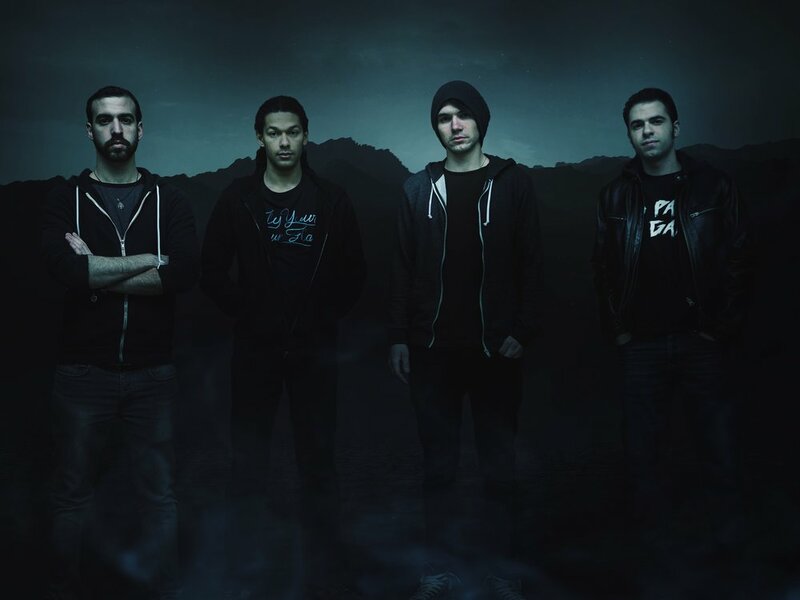 We are Insolvency a Heavy/Metalcore band from France. The band was founded in 2012, with a school friend, Jules in our hometown Troyes in France and myself. We started playing some covers and our own riffs in my room and we decided then to create a band. We’ve found Mickael quickly as drummers, and Pierre joined us few months later. We have been looking for a singer but after few auditions, we found no one who had the voice we liked, so Jules, Pierre and Me started singing. In 2014 Jules has leave the band and Bruno replaced him. Bruno brought to us the energy and ambition to push the band and its projects it was a new beginning for us. Myself found the name; it just came out without thinking about any signification (from French people, it sounds nice with its pronunciation in English). The name has literately an economic signification but that wasn’t wanted! If we can deal with it, we can keep the signification "insolvent" in a philosophical sense. Pierre and myself brought main ideas with structures on this album, and then we checked it all together with guys. We are using guitar pro at these first steps to have a whole view before recording. It works naturally this way for its all good and us! Topics we deal with are related to our society rules, and news. We indirectly deal with capitalism, violence, war etc… we deal with these themes around our feels and we don’t aim them directly. Everything can change over time and we don’t know yet what will tomorrow be made of! We can add also the new wave of metalcore like While She Sleeps, Architects, Wage War… But we have many others inspirations in metal, Death, Black, Prog and others styles of music. For me it’s Metallica’s concerts in May 2012 at Stade de France. The band played Black Album entire and it was my first big metal concert. It was amazing, to feel this energy who connected around 70 000 people. I remember during Sad But True I looked around and I was feeling like “we love each other’s and we love this music”. After this gig I wanted to set up a band to be able to feel this energy with people on my own music! All of us do warm-up before all shows, if possible minimum 15mins before show, and vocal warm-up to. Sometimes we make some push up and exercises to set up our state of mind to a nice level. We never drink before a show, or a tiny bit! it’s very important to us to be clear on stage to be our top level. The studio experience with Jim Pinder And Carl Bown (who’ve worked for While She Sleeps, Trivium, Bullet For My Valentine) was an honor and a crazy experience for us as newcomers with a first album. Also, we’re glad we had reviews from Galacticalcriminal and TruantReacts, two most famous react youtubers in Metal who did great reviews from us with great feedbacks from the US and UK. I think it would be Trivium, because I started to listen to metalcore with them and it was my first inspiration. If we could play with these bands it would be like a dream becoming reality. Thanks for this interview and we hope you enjoyed it as I did! Check out our album on Spotify and music videos on YouTube!